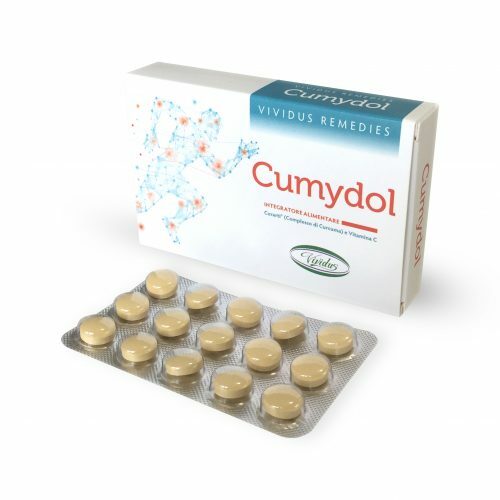 Food supplement registered with Italian Health Ministry. 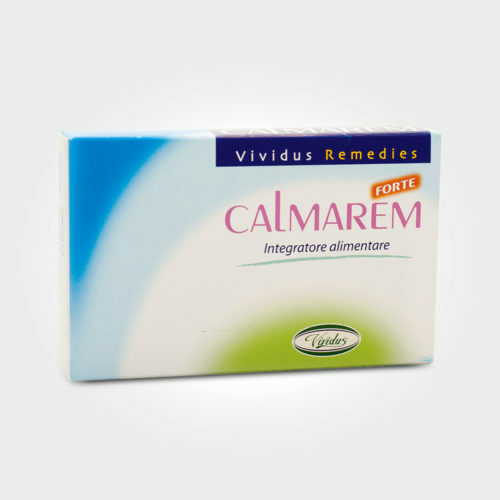 Calmarem Vividus is a food supplement with the plant extracts of valerian, lemon balm, hawthorne, chamomile and other natural ingredients that help you to maintain a relaxed lifestyle. 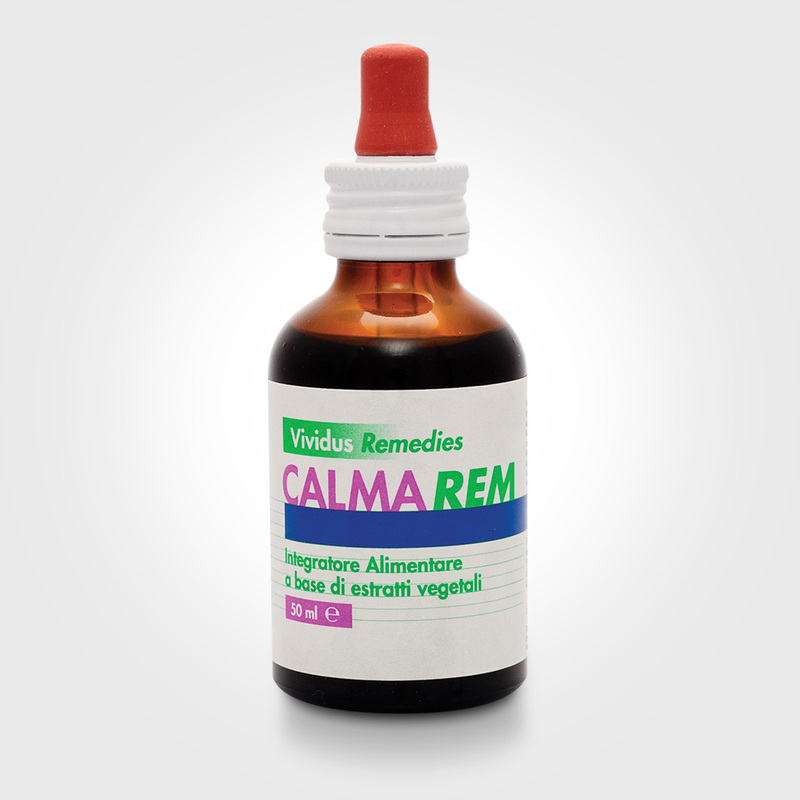 helps to feel calm and relaxed. 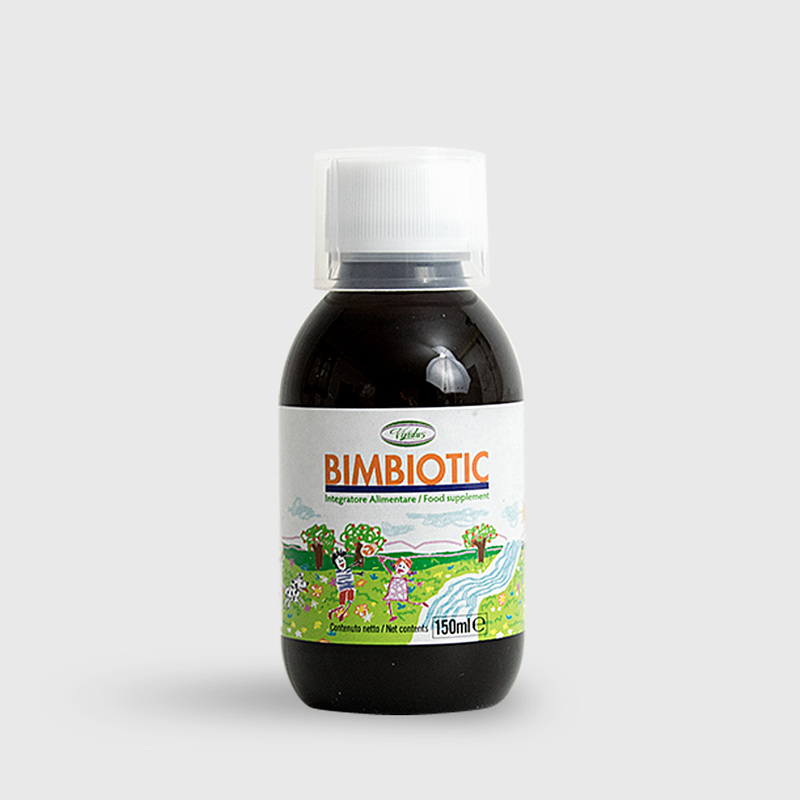 40 drops three times a day with a little water on an empty stomach. valerian rhizome (valeriana officinalis), linden buds (tilia tormentoso), passionflower (passiflora incarnata), lemonbalm (Melissa officinalis), hawthorne flower (crataegus oxychanta), escholzia (eschscholtzia californica), roman chamomile (anthemis nobilis), marjoram e.o. (origanum majorana) 0,1%. 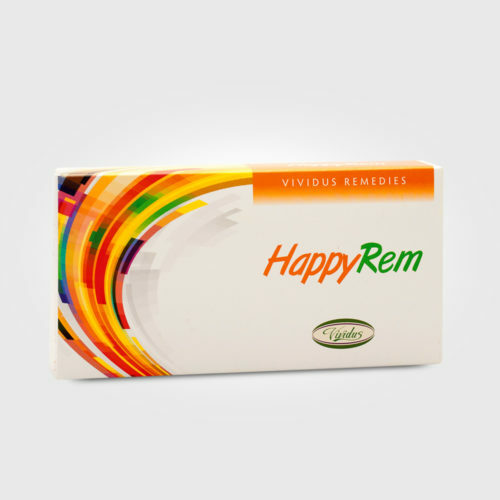 Happyrem Vividus is a food supplement containing st. john’s wort, rhodiola, noni, griffonia, minerals and vitamins useful in maintaining a positive attitude towards life and wellbeing especially during very stressful periods. 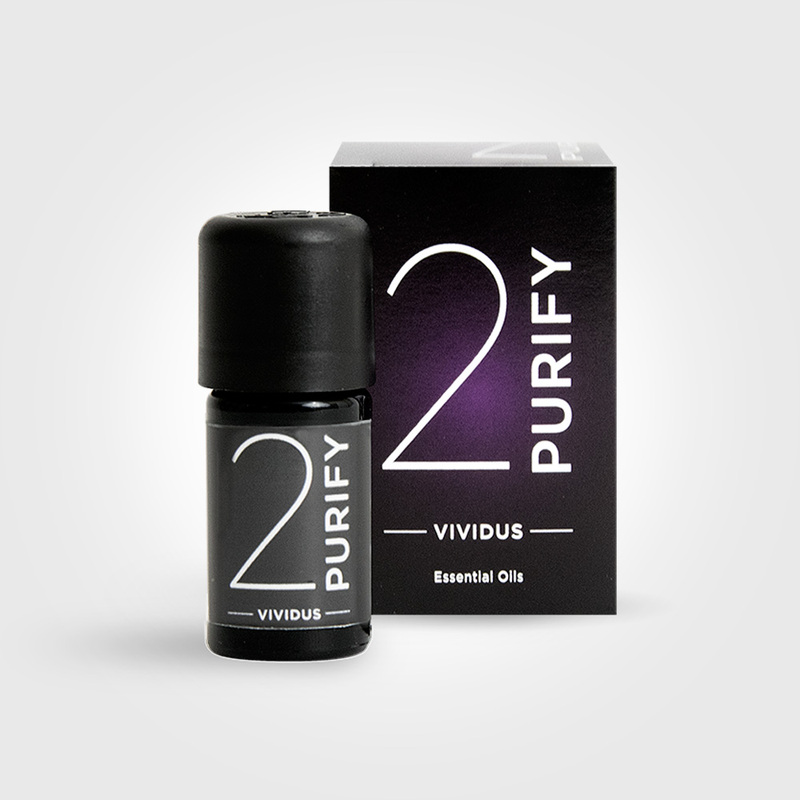 Mix of pure essential oils. Relaxing, sunny and purify. 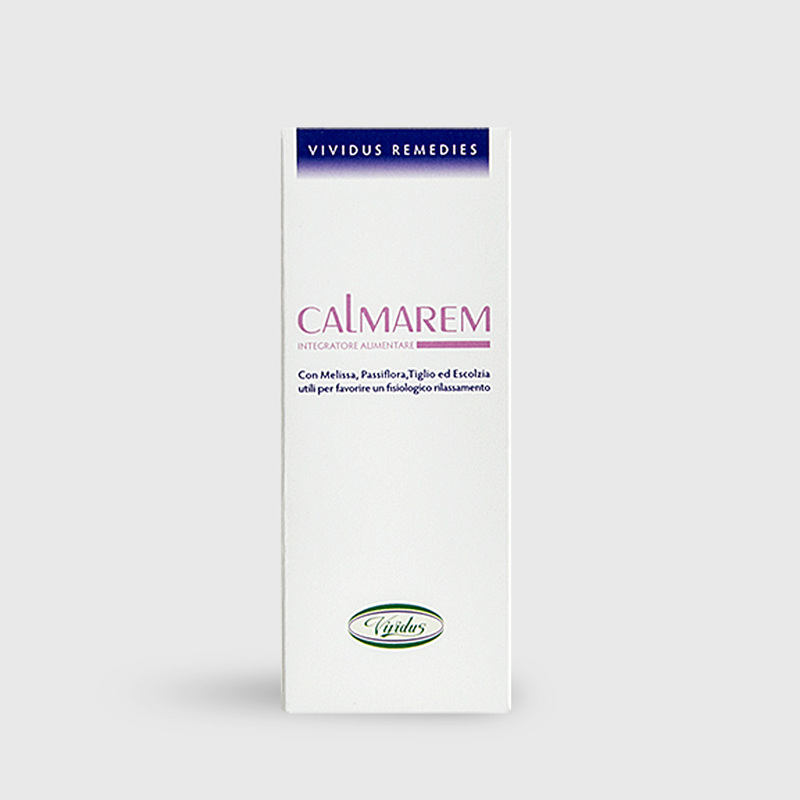 Calmarem Forte is a food supplement with magnolia, passionflowers, melatonin and other natural extracts to help feel relaxed and to sleep during periods of anxiety and stress without causing drowsiness. Also useful to avoid jet-lag. 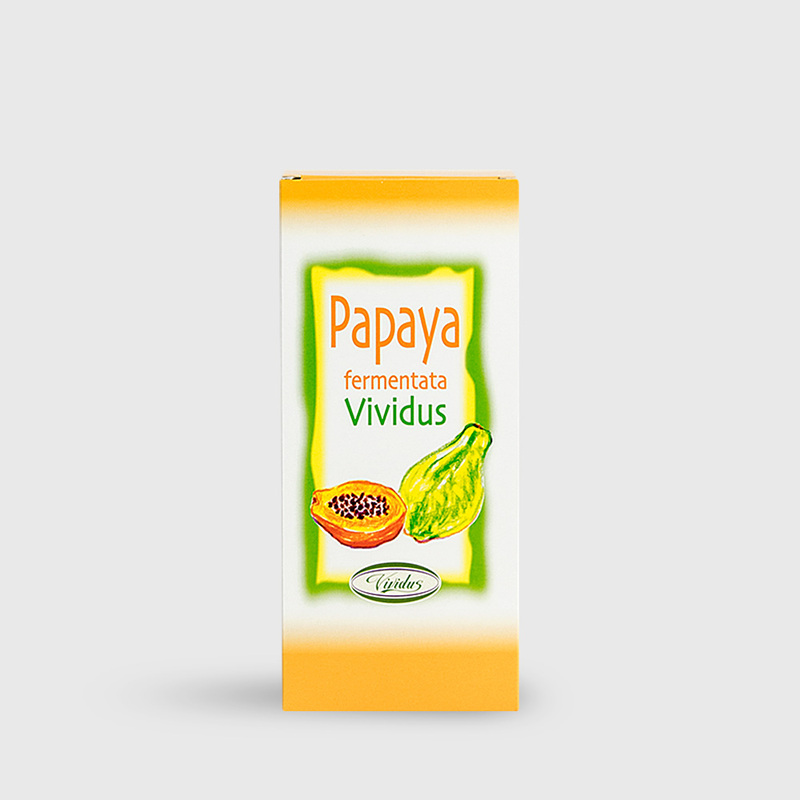 Vividus Fermented Papaya is a unique product to contrast slow digestion above all when related to proteins and is also considered a “rejuventating food” due to its antioxidant action. 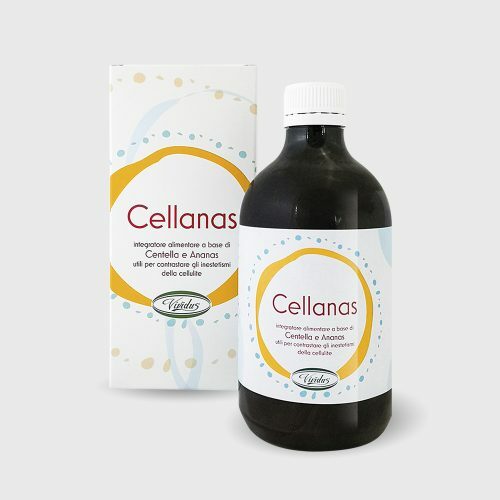 Vividus Cellanas is a unique product to contrast cellulite, heavy legs, liquid retention. 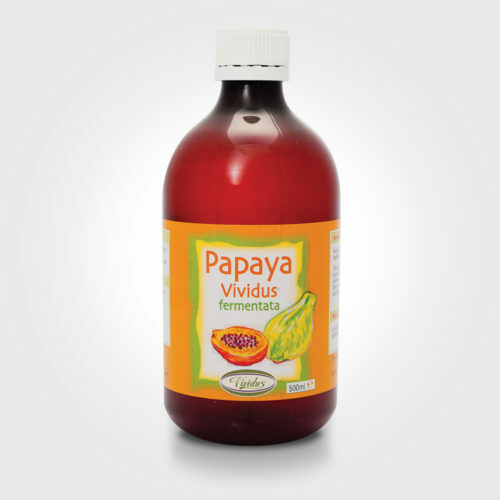 Fermented Papaya aids digestion and is a well known antioxidant. 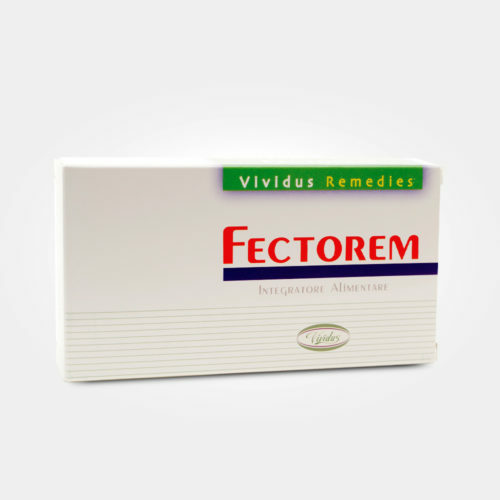 Fectorem Vividus is a food supplement with echinacea, curcuma, walnut, mugwort, chamomile and other natural extracts to help balance your immune system and to protect the respiratory tract. 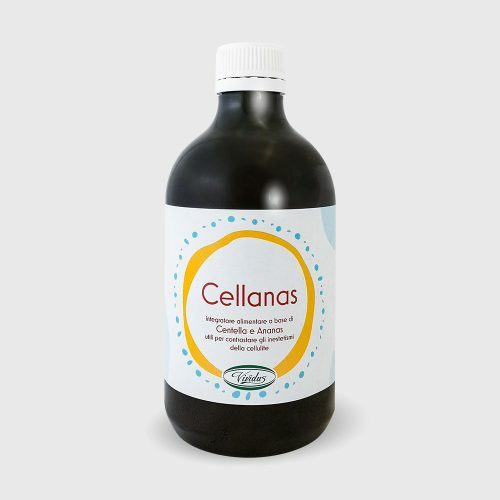 Helps to improve joint function and contributes to the normal bone and cartilage functions. 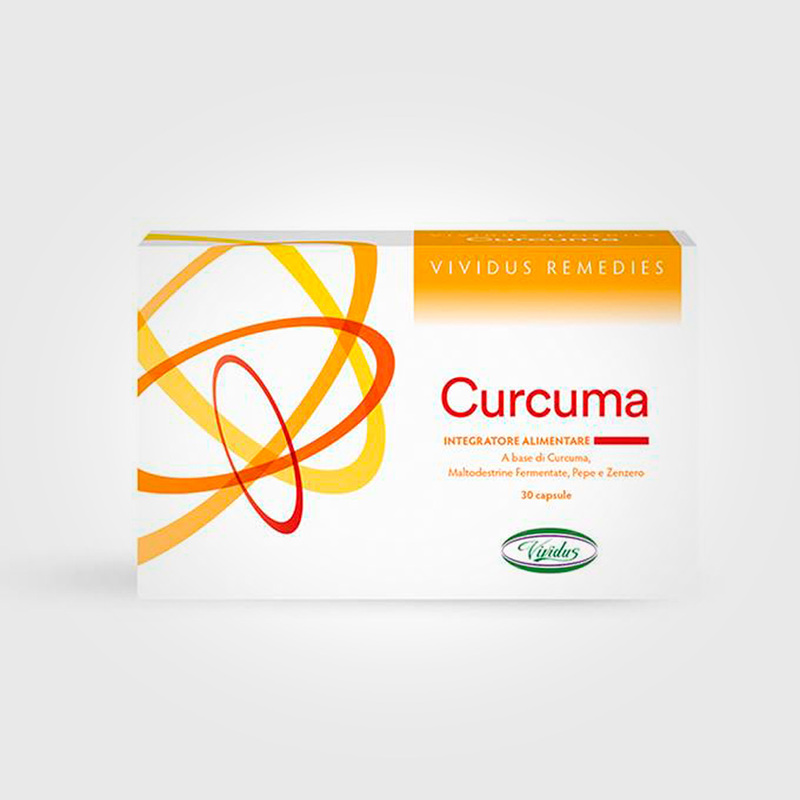 Curcuma Vividus is a food supplement with Tumeric, Fermented Maltdextrine, Black pepper and Ginger which help to improve digestion and the elimination of intestinal gas. 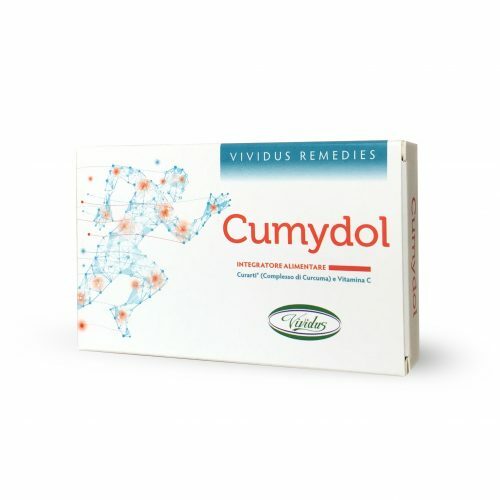 Useful for general wellbeing and joint health. 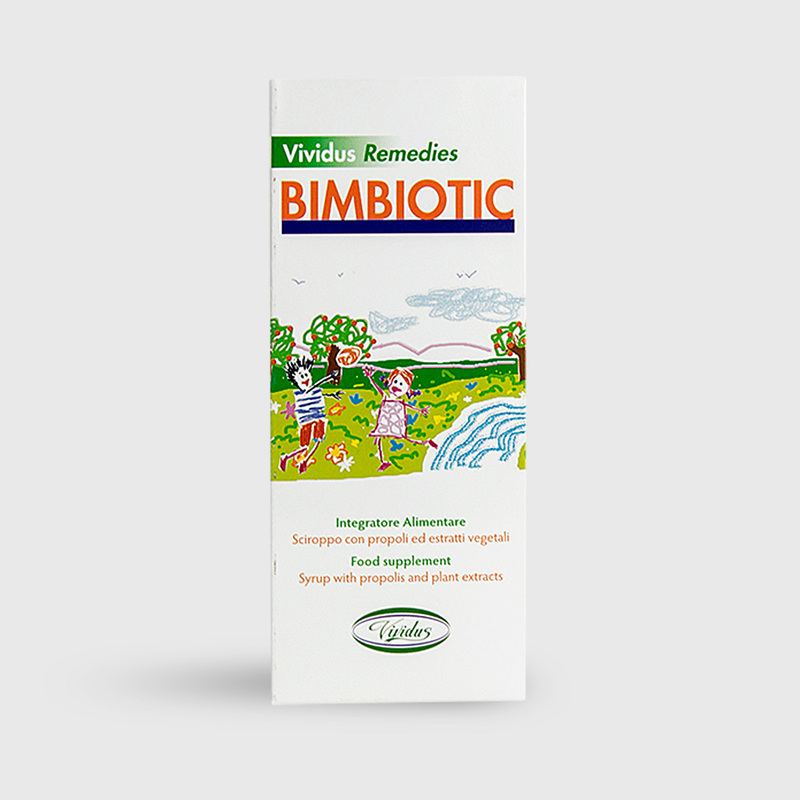 Bimbiotic Vividus is a food supplement syrup specific for children to help fight against common ailments by strengthening the immune system. The forest strawberry flavour makes it tasty and appealing even for small children.